What advantage does a transmission cooler have on my car? A transmission cooler on any automatic transmission helps to reduce the transmission temperature and in turn increasing transmission life. Having a driveline Service on your Vehicle has never been easier. 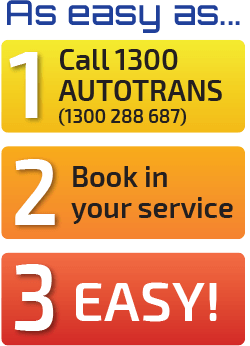 First of all, booking times are quicker and even priority bookings are available at your local 1300AUTOTRANS Service Centre. 1300AUTOTRANS Service Centres have all the software and equipment to carry out your Driveline Service and any other repairs. With your choice of genuine parts or equivalent quality we can ensure your Vehicle is in good hands. So rest assured when we are discussing repairs with you we not only have the technology to carry out the repair but also the experience to back it up. If your vehicle is Front Wheel drive, Rear Wheel drive, Four wheel drive, All Wheel drive petrol or diesel we can service or repair it. John Eckel has Been in the driveline industry since the age of 14 originating from the darling Downs now has one of the largest driveline remaufacturing businesses in south east Queensland with 2 shops from Maroochydore to caboolture, so when you are discussing repairs with one of the team at 1300autotrans they not only have the experience but also the technology software and training to back it up with the confidence of a 2 year 50,000km warranty on recommended repairs, so you can be sure your experience is a positive one.